And just like that, after over 12 months of planning and preparation, the 2018 Asia-Pacific Fistball Championships are over! 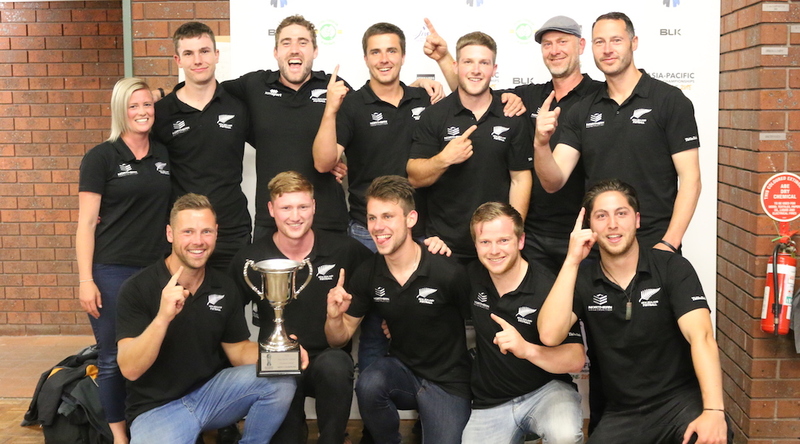 A hearty congratulations to the New Zealand Fistball Association for their massive championship wins! The Kiwi women’s team continued their dominance over Australia despite a much-improved Possums outfit, taking the final in a deceptively-close 4-0 straight sets final. The Kiwi men’s team on the other hand had to valiantly battle and scrap for the maximum amount of sets, as they finally turned the tables on the more-experienced Aussies, winning a thrilling back-and-forth final in 7 sets over more than 2 hours of play, in what was undoubtedly the greatest fistball match ever played Down Under. In third place finished the late-arriving-but-very-welcome Fistball Federation Of India, after they used their experience to overcome the newest fistballers on the block – the crowd-favorite Samoan Fistball Association – in a tight 4-1 tussle. Despite having only played for 6 weeks prior to the tournament, the Samoans showed incredible improvement as the tournament went on, and were frequently on the highlight reel with some of their logic-defying desperation shots. Rounding out the teams in the Women’s Championship was the IFA All-Stars – a team that could not win the trophy, but made sure each women’s team was pushed to the limit prior to their nightly Trans-Tasman battle. A wonderful mish-mash of players from all over the world, the squad featured Germans, Austrians, Indians, Chileans, the English, and one token Australian. A huge thank you must of course go out to everyone who contributed to this unforgettable tournament – including the teams that sacrificed time and money to attend, the organisers that tried to plan the tournament down to the finest details, and the volunteers who helped wherever they could to ensure the whole thing didn’t fall down into a crumpled heap. And thank you of course to the Melbourne weather for giving our visitors a true “Melbourne Weather Experience”. It truly was an unforgettable experience for all involved, and the bar has now surely been set for the future of international fistball in the Asia-Pacific region. And as always is the case with fistball – a large fistball family was formed at this event, and friendships have been formed that surely last the test of time. Stay tuned for photos, write-ups and whatever else we get around to posting in the aftermath.